Andrea Beltratti is currently Chairman of Eurizon Capital SGR, the asset management arm of the Italian Banking Group Intesa Sanpaolo and Professor of Economics at Bocconi University (Milan). He is also Chairman of the Financial Education Foundation, set up by the Italian Banking Association to promote financial education. He obtained his P.h.D. in Economics from Yale University. He has been visiting professor at the University of Stanford, visiting scholar at the London School of Economics, and at the University of Melbourne. He is a member of the Editorial Board of Geneva Paper on Risk and Insurance – Issues and Practice. His research deals with market efficiency, volatility, banking and corporate governance and his work has been published in the Journal of Financial Economics, Journal of Monetary Economics, Journal of Econometrics, Journal of Risk and Journal of Banking and Finance. At Bocconi University Andrea was the Director of the degree in Economics from 2000 to 2004 and Dean in charge of the Undergraduate School from 2004 to 2008. He was a scientific coordinator of the BSI- Gamma Foundation in Lugano from 1997 to 2010. He has served in the board of asset management companies and sat in the Executive Committee of the Italian Banking Association. 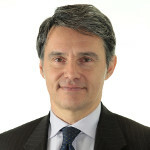 From 2010 to 2013 he was Chairman of the Management Board of Intesa Sanpaolo. He is the founder of the Museum of Savings in Turin.